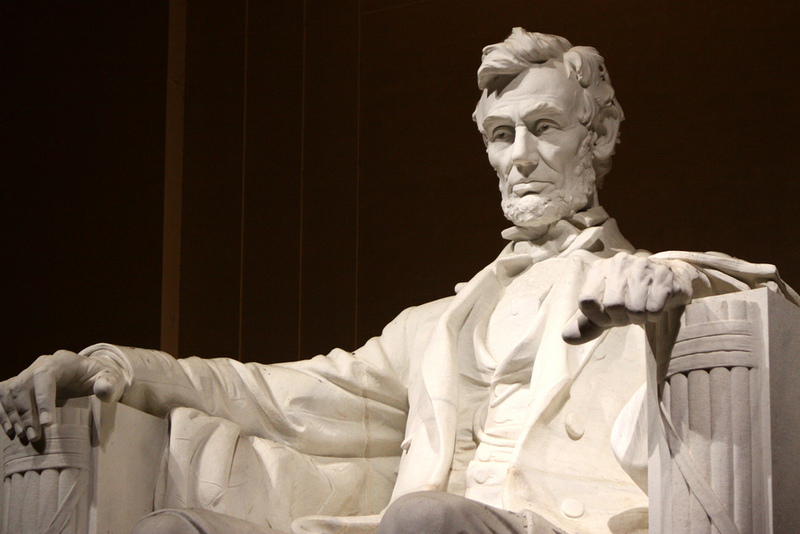 A poem in honor of Abraham Lincoln’s birthday. With less than two days to go and over 200,000 people registered, the organizers of the Women’s March have decided now would be a good time to clear up the some of the ambiguity that has been surrounding the event since its creation back in November. Not only has there been confusion about logistics of the event (where they will march, bus parking, permits, etc. ), but the purpose of the event has remained vague, stating a simple but admirable mission to stand together for the protection of women’s rights. On board with the mission statement of the march, New Wave Feminists, a pro-life feminist group, applied and was successfully admitted to be an organized partner at the Women’s March, which takes place at the U.S. Capitol on January 21. Seeing their name on the partner list along with groups like Planned Parenthood and NARAL Pro-Choice America gave pro-life feminists hope for the women’s rights movement – proof that the organizers are truly seeking diversity and unity by welcoming women from all different ideologies and walks of life. 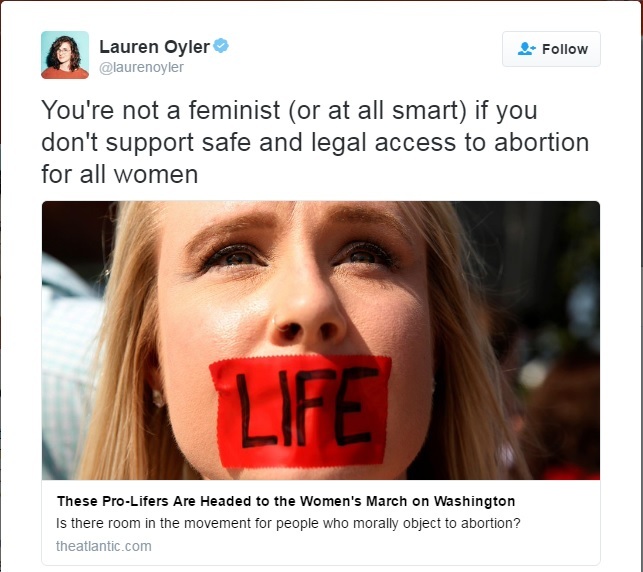 Are we finally getting past the narrow-minded approach that says only women who are pro-abortion can fight for women’s rights? 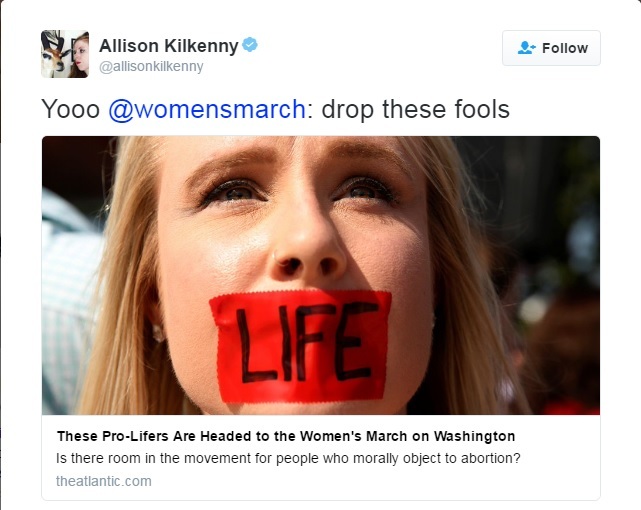 But the glimmer of hope we felt with New Wave Feminists’ breakthrough soon diminished when pro-abortion feminists immediately took to social media to bash the organizers of the Women’s March for their decision to allow pro-life women to march alongside them. It didn’t take long for the organizers to cave to their demands and remove New Wave Feminists as an organized partner for the march. In a statement issued Monday evening, they apologized for this “error,” saying that “our platform is pro-choice, and that has been our stance since day one.” For the record, nowhere on their website or social media accounts had they ever mentioned having a pro-choice agenda. Choosing a pro-choice platform for a movement that is supposed to be for all women is disheartening for a variety of reasons, primarily because it alienates roughly half of the women in this country. It also shows there is much work to be done in bridging the generational gap in the modern-day feminist movement. The feminist movement that grew out of the sexual revolution and fought for abortion rights is changing. Studies have shown that millennials increasingly oppose abortion, and Generations Y and Z are the most pro-life generations since Roe v. Wade, thanks to technology advances such as ultrasounds that show just how human unborn babies actually are (not clumps of tissue). Remember when NARAL slammed Doritos for their Super Bowl commercial and everyone just rolled their eyes? As a pro-life millennial, this is what encourages me even when I see pro-lifers constantly shoved aside and told their voices aren’t welcome at the human rights table. 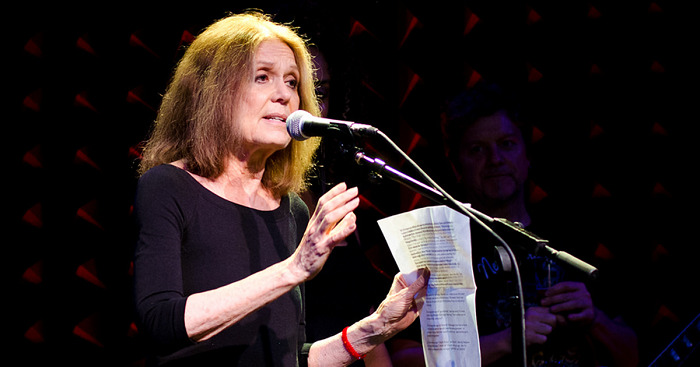 We recognize that the women’s movement has grown tremendously around the world in the last decade, and many of these women hold different views on abortion than Gloria Steinem – seeing motherhood as an empowering choice that strengthens their communities, not as a weakness that limits them. Feminism has expanded to mean education rights, fighting against domestic violence, ending human trafficking, and so much more, and yet the world will watch on January 21 as the U.S. reduces it to abortion rights. When pro-life feminists are excluded from solving issues that women face today, some of the greatest female minds are left out. Why are we jeopardizing the advancement of women’s rights for the sake of agreement on one issue, especially if views on that one issue are equally divided among women in this country? It’s difficult enough for women to fight for their voices to be heard in a male-dominant society. Disqualifying women from the feminist movement only hurts our cause. To the women who are fed up with being silenced and told that their opinion doesn’t matter, we must come together and see beyond what the liberal feminist agenda demands of us. We may not see eye-to-eye on every issue, but that should not prohibit us from fighting to protect the rights of women and children in the U.S. and around the globe. On January 21, women from around the country will come together in our nation’s capital for the Women’s March on Washington. Hundreds of thousands of women will fill the streets near the U. S. Capitol with their Rosie the Riveter arms flexed and their “woman power” signs bouncing in the air. They’ll stand tall and confident, filled with determination for their voices to be heard during the next four years of a Trump presidency. But while this information alone has prompted thousands to register for the event already, it’s purpose has left many of us confused and disappointed. It’s upsetting to read the three paragraph mission statement and not be able to answer the most basic question: What rights are we fighting for? And to take it a step further, are we even speaking in unison? Nowhere on the website does it list plans for what they hope to accomplish by marching in Washington, nor do they discuss goals for the next four years. 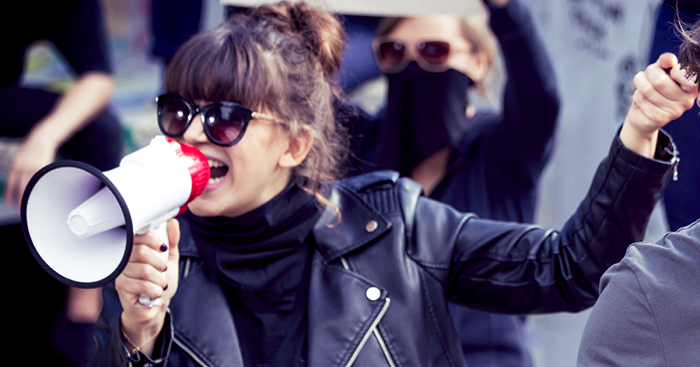 Motivating hundreds of thousands of women to come together and fight for a cause is compelling, but if you’re organizing a women’s movement, it needs to be for a specific cause that affects many women in our country and around the world – the gender wage gap, equal rights to education, the list could go on and on. We need to know what we’re fighting for and have a clear strategy to get things done. Feminism encourages women to think for themselves – get the facts, use our brains, and make smart decisions. So why should we show up to march? According to the logic of the organizers for the Women’s March, simply because we’re women. They expect us to say, “Oh cool, I’m going to go to this awesome event with hundreds of thousands of women because… I’m a woman!” This dumbs us down to one-dimensional human beings; it is the exact opposite of feminism. Feminism celebrates the diversity of all women and appreciates them for who they are. Our unique minds, personalities, race, culture, etc. cannot be easily lumped into one category or even one cause. If women are being asked to take a stand, we should be certain we know exactly what we’re standing for. I know it’s tempting to still attend – you want to make Susan B. Anthony proud with a selfie at the Supreme Court surrounded by hundreds of your new best friends to prove to the world that you are a true feminist. But it’s time to move past the “I am woman, hear me roar” approach. Roaring is not the agent to affect change – strong, articulate ideas are. Being the loudest person in the room is not leadership. We need less women with noise makers and no agenda and more women with a vision and a strategy to move us forward. To anyone who is attending the Women’s March and completely disagrees with this argument, gather your thoughts and comment below. Your opinion has value, and we want to hear it. We must work together in order to advance the desperate need for women’s equality and respect for women and girls in our nation and around the world. But we must be smart about how we do it, otherwise our cause will fall on deaf ears and no progress will be made. The problem isn’t with our volume, it’s with our message. As we stand on the shoulders of the great female leaders before us – Susan B. Anthony, Elizabeth Cady Stanton, and others – let’s make sure it isn’t merely our voices that are heard and our message itself actually sinks in. Note: Already made your pro-woman sign and still want to march in January? Consider the March for Life, which stands for the most basic human right – the right to live. After all, this is the cause Susan B. Anthony would have marched for if she were alive today.